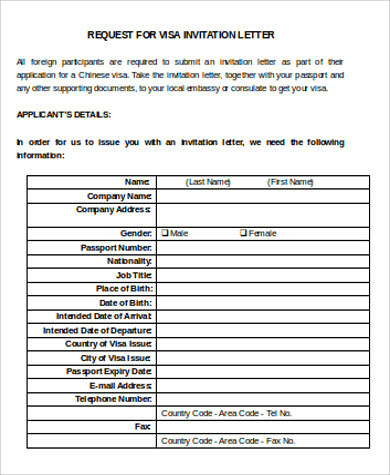 Our sample letters for visa applications will help guide users on the proper procedures needed to write a visa application letter. All our samples are presented in a way that users will be able to make their own letters based on the formats in the examples. These can also be downloaded and modified to fit user specifics. 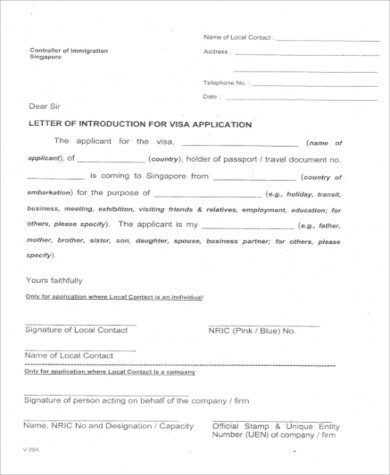 Getting a visa can be quite an ordeal especially if you plan to go to countries such as the United States. 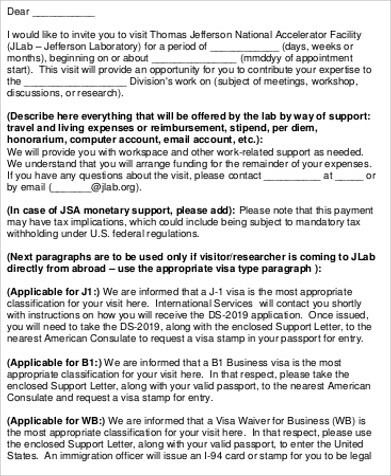 Since the U.S. government is concerned about the influx of visitors who flock to the country each year, they are trying to limit the number of visitors by imposing visa restrictions and imposing quota systems. 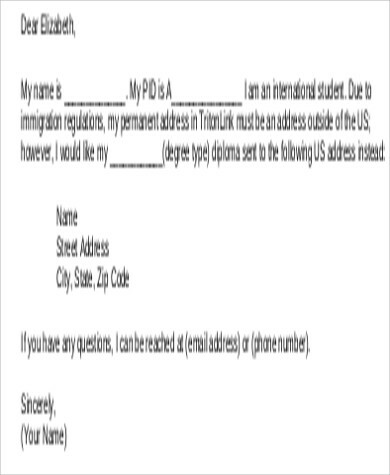 If you have relatives who are American citizens, they can help by writing an invitation letter for you to obtain a visa.You may also see business invitation letters. 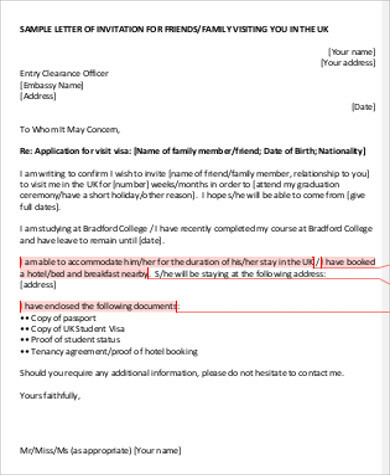 Writing a letter of invitation for visa is intended as a personal instrument and not an official document, so it should not be written in a way a lawyer would write it but in a direct kind of approach with a personal tone that should not sound official. 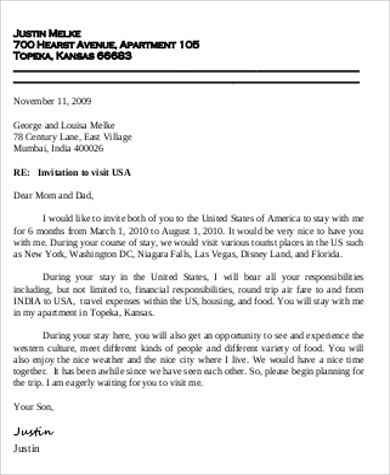 Include full names and addresses of both you and the recipient. 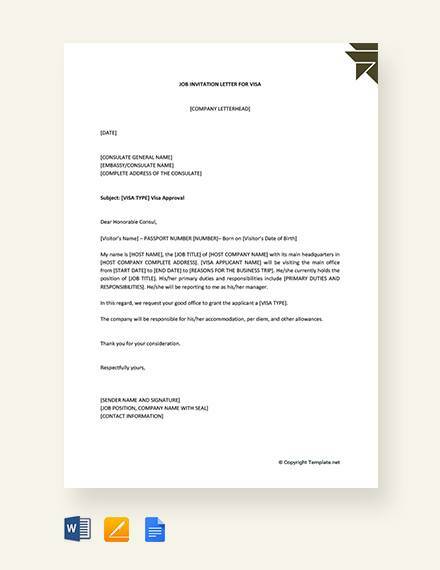 It’s very helpful to include financial details to highlight your capacity to support the recipient. 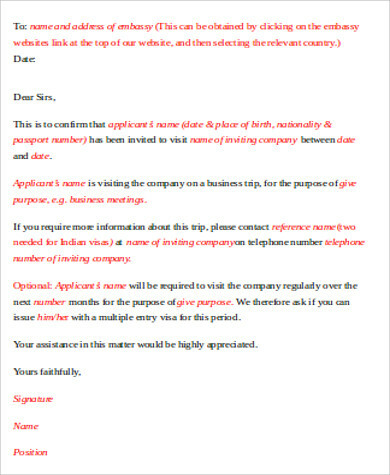 You must also provide adequate information about the visit and your relationship to the applicant or recipient.You may also see business meeting invitation letters. 3. how much of the applicant’s expenses you need to cover during his or her stay. 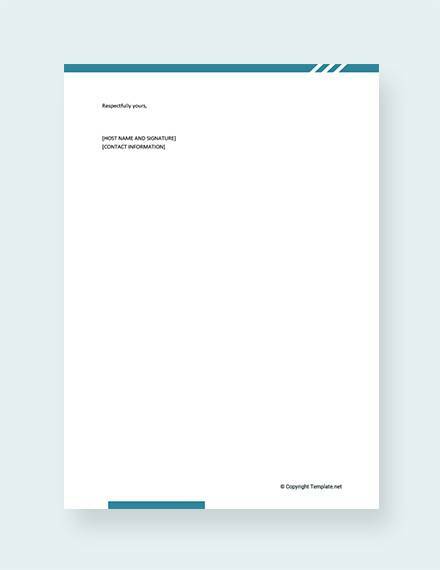 It’s important to be specific and detailed as much as possible. 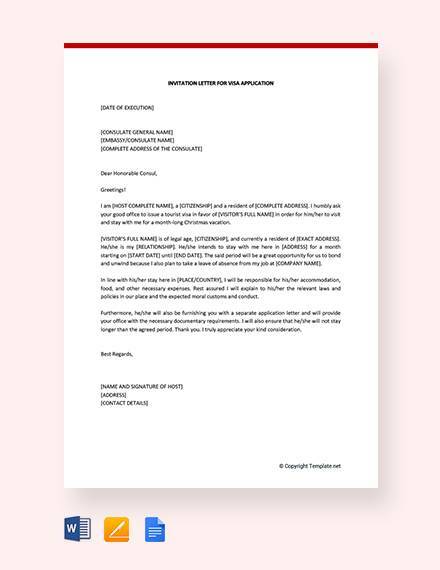 For other related examples, check out our invitation letter samples and visa sponsorship letters that are free to download on both Word Doc and PDF files. 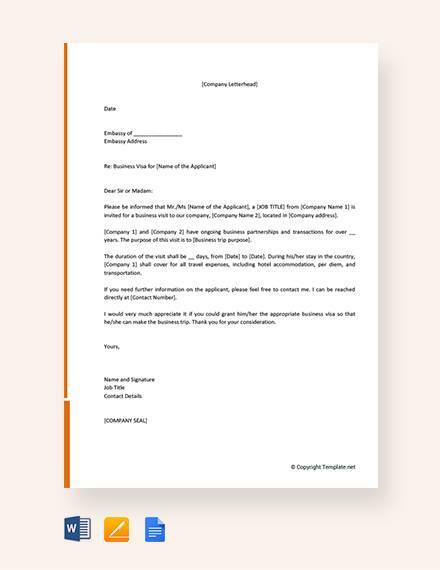 Just like writing a formal letter, all the important parts should be included and covered in the letter like the heading, main body, and conclusion. 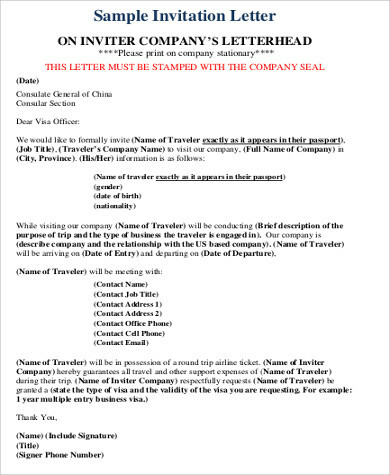 Be sure to add the embassy or consulate’s information like its full name and address on the left side of the heading. 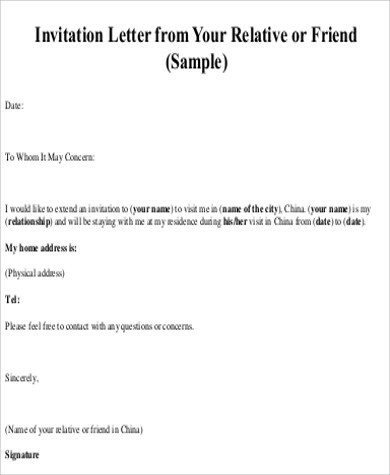 Always include the word Subject below it and a colon followed by the purpose of the letter, which is an invitation for a recipient to visit the country and other relevant details. 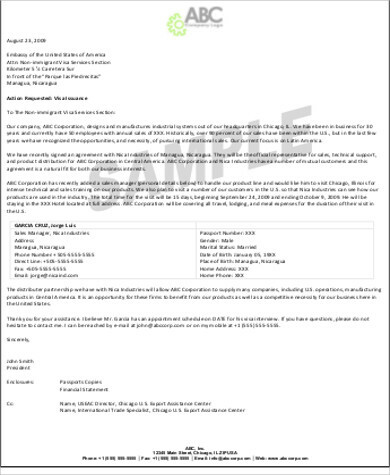 For other types of samples, please check out our website’s Business Meeting Invitation Letters. 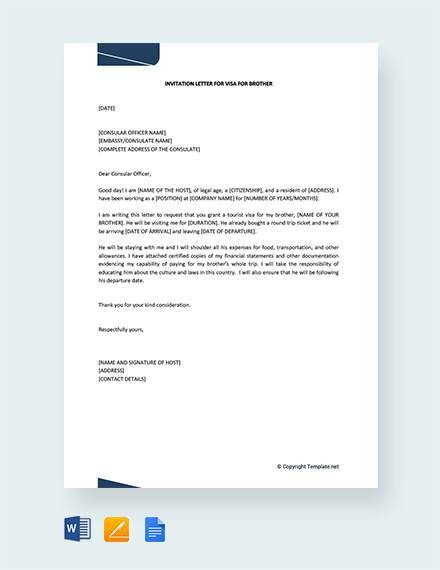 These are all free to download and modify and are available for downloading in both Word Doc and PDF files.You may also see employment letters.